I kicked things off last Saturday with the day at a quilt show in Sacramento. It was the same show I went to last year and I had fun then but it was definitely more enjoyable now that I have more experience under my belt. At each booth I knew all of the tools that I was looking at. 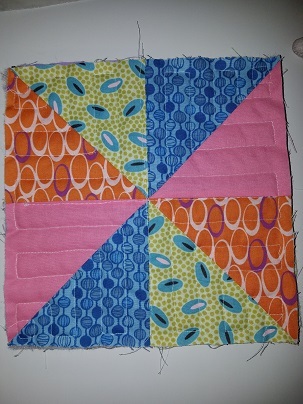 When I looked at different quilt patterns I actually had an idea of whether or not I would be able to make it. I even had different ideas for some fabric panels that I saw for sale. The experience and confidence was a good thing, but it also meant I wasn’t afraid to spend money. Thankfully my husband and I had set a budget before hand so I didn’t go too overboard. That budget came in very handy because between my mom and myself something was purchased at each of the first four booths we visited. I’m not exaggerating. We were able to slow down a bit after that but I made a few more purchases throughout the rest of the day. The item I’m most excited about is a quilt kit I picked up for a birthday quilt. The plan is for each of my kids to get to use it for the entire month of their birthday. Thankfully none of them share a birthday month. I may end up using it myself in February, my birthday month. The kids are already excited to have an item of recognition all month long and the fact that their mom is making it is just the cherry on top. The first birthday is coming up in May, so my goal is to finish it in the next month and a half. The quilt top shouldn’t be too difficult, I already have all of the fabric cut out, but quilting it is definitely going to take a bit of time. 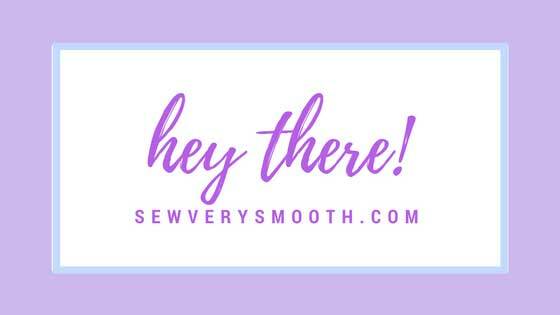 Speaking of quilting, I also spent some time practicing my free motion quilting. I will admit it went better than I expected, though I still need a lot of practice. The middle picture on the right is of my first attempt following a set pattern. 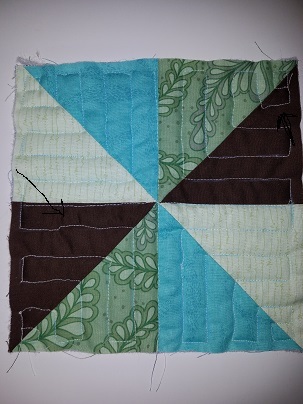 I really struggled with quilting when I moved to the right, which is why there are a few dips in the line. I tried to write an arrow on the picture to make it easier to see what I am talking about, though with white thread on brown fabric it’s kind of hard to miss. The bottom picture is of the last one I did. There aren’t any significant dips or curves and the spacing of my stitches are actually pretty even. I need to work on getting them a little smaller, but I am happy with how balanced they are. The main issue I’m experiencing is the back of these stitches. They don’t feel very secure. It’s almost like there is a piece of thread floating on the surface of the material and it would only take a small tug to pull it all off. That doesn’t seem like it would be a good thing. I can’t figure out if the issue is because the stitches are just too wide or if my sewing machine just isn’t stitching them properly. The machine seems to work just find if I’m using the feed dogs and feeding the material through it in the traditional manner. I’m hoping it’s not an issue with the free motion foot I have, but I’m not sure how to figure out if it is. Does anyone else have an issue similar to this with some advice? 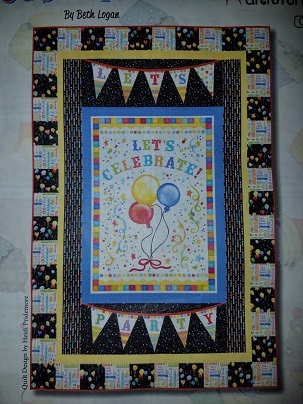 Next week I will be starting to assemble my birthday quilt top and possibly continue with the free motion practice. I’m excited to get another project in the books!